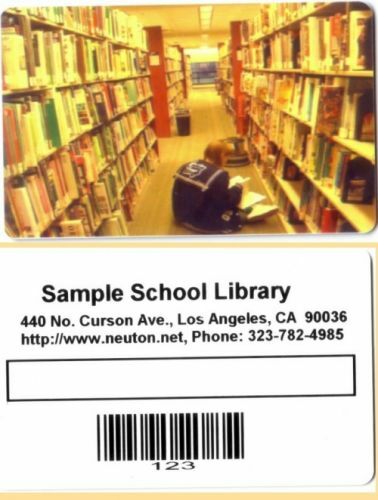 Neuton Data Systems - School Library Automation - Card 101 - Library - 100 Cards . 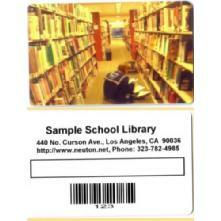 Do you like to have professional looking library cards that are inexpensive? Look no further. These cards have your choice of a full color, beautiful template with personal info on the back. We Do NOT charge extra for Barcode printing, that is included for FREE!